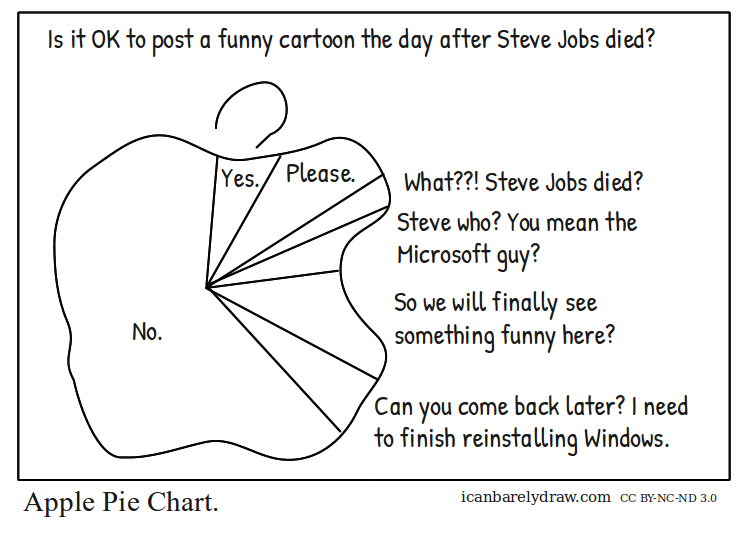 Is it OK to post a funny cartoon the day after Steve Jobs died? Steve who? You mean the Microsoft guy? So we will finally see something funny here? Can you come back later? I need to finish reinstalling Windows.